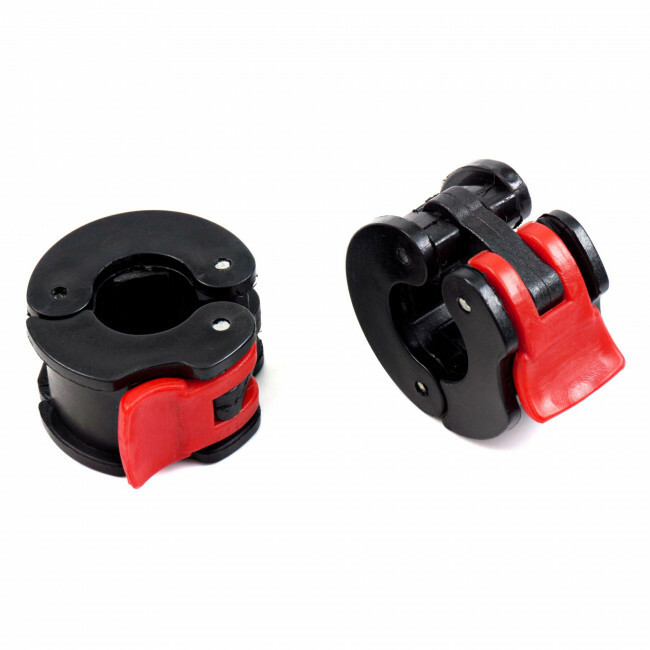 Made from tough moulded plastics the 1 inch Easy Lock barbell collars have been designed to withstand seriously heavy usage. The Easy Lock mechanism allows you to instantly lock down the plates and just as quickly release them. Ideal for circuit or group sessions where plates need to be changed quickly and safely. 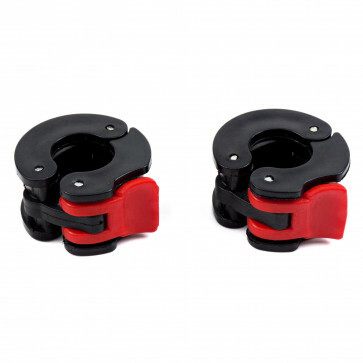 These collars are sold in pairs and are a superior alternative to traditional quick-release collars. 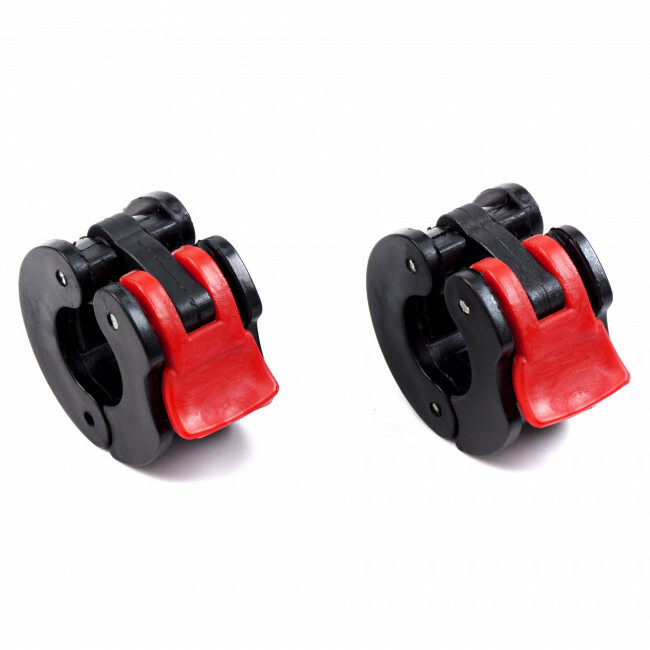 Suitable for 1" dumbbell and barbell bars.